YouTube Live is making impressive strides in catching up to incumbent Twitch, but it has a long way to go yet. On the bright side, it doesn’t look like they’ll run out of road: Streaming looks to be a fairly sustainable business, suggest stats from Streamlabs’ latest report. According to data gleaned through Streamlabs’ streaming assistant app, YouTube Live has outpaced Twitch in growth over the last six months. That’s to be expected with a newish service offered by a powerful competitor, but it’s also not uncommon to see challengers like this fail to gain serious traction at all. 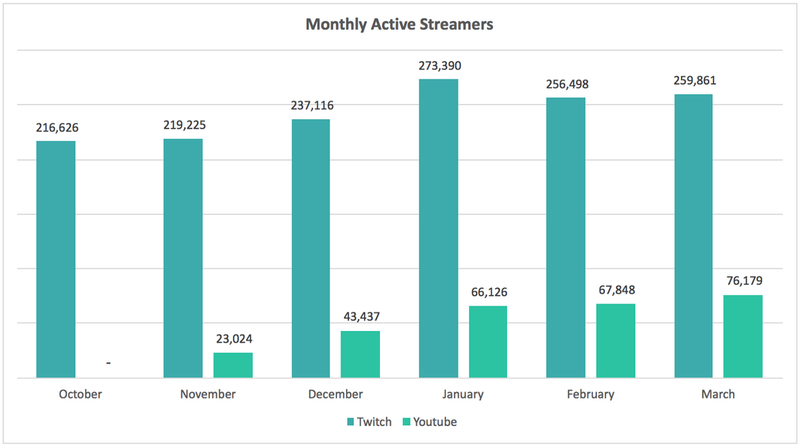 Twitch these days has somewhere north of 250,000 monthly active streamers, and that’s growing in fits and starts; 5,000 this month, 15,000 the next. YouTube added 23,000 its first month, and has grown to around 75,000 (again, monthly actives). That’s healthy growth and its momentum seems far from spent. That said, Twitch still generated 96 percent of the tip revenue that Streamlabs (which is used by huge numbers of streamers) directly observed. One pleasantly surprising statistic newly reported is that longtime stream viewers tip considerably more than new ones. 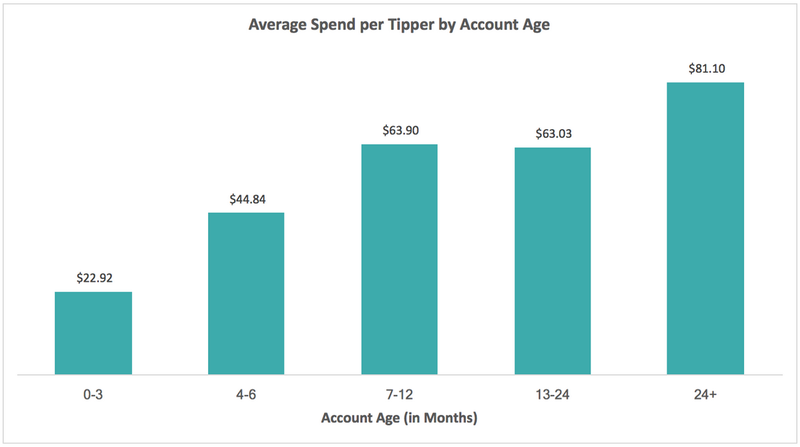 Two-year-old accounts tipped more than $80 total per year on average, while brand new accounts tipped around $23. The numbers smoothly increase between those extremes, implying this is something people are adopting as a regular hobby, just like anything else, and spending money accordingly. That’s supporting the streamers themselves, who are increasingly likely to pull real income from their channel. The number of non-sponsored streamers is increasing, as well. I chatted briefly with Ali Moiz, CEO of Streamlabs, about the state of the industry. In particular, I was afraid that with Twitch no longer growing like a weed (merely like a regular plant), that could put some dampers on the wild speculation about the future of the streaming business. Moiz acknowledged that Twitch’s growth had slowed, but pointed out that was more due to healthy competition. But, I asked, more options doesn’t mean more streamers or more viewers necessarily. Where’s the next five years of growth going to come from? You can read the full report (they come out quarterly now, since the first one in January) over at Streamlabs’ Medium post.